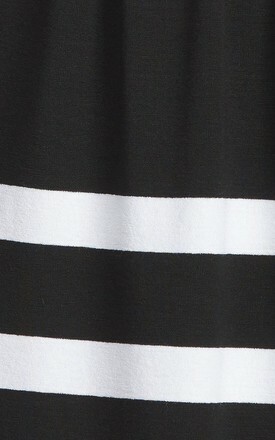 Dress CONQUISTA in black and white striped jersey fabric: viscose elastan. Contrast yellow stripe at the hemline. 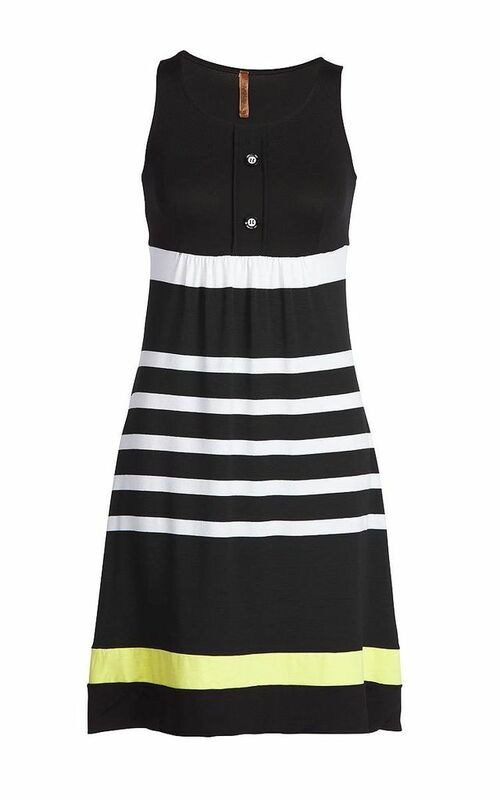 Sleeveless with a round neckline. 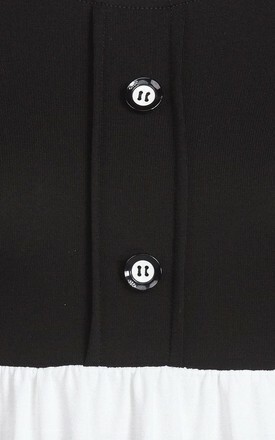 Faux button placket in the front with three decorative black and white buttons. Gathers under the bust. 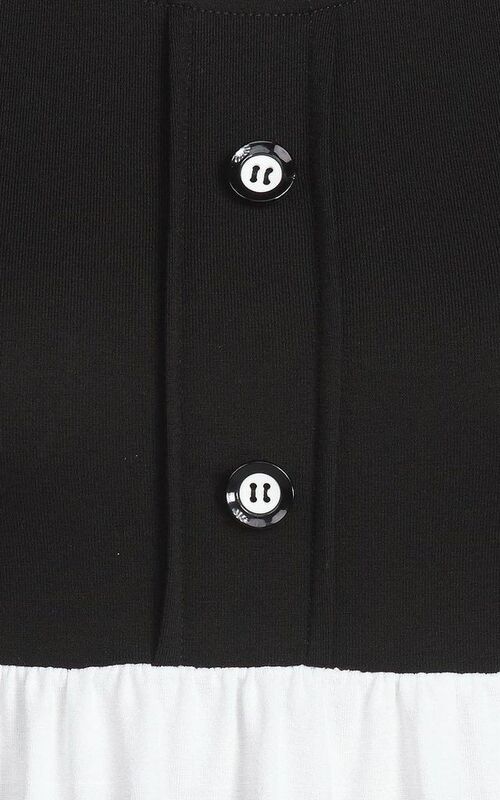 Empire line with an easy silhouette. Length, for size 36/S, 96cm.